[Webkinz World] Sneak Peek: February 2019 Deluxe Challenge! 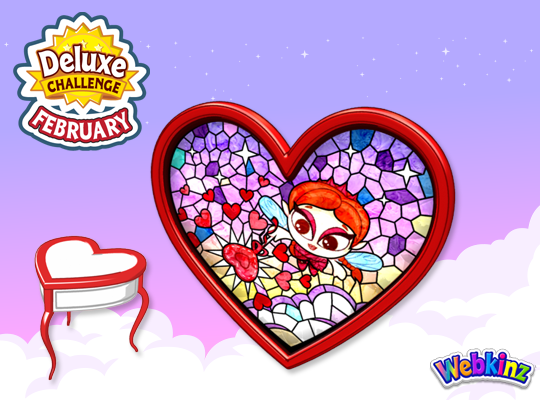 Sneak Peek: February 2019 Deluxe Challenge! win a Sweetheart Side Table, along with a NEW Sweet Stained Glass Window! Join before the end of February in order to play February’s Deluxe Challenge!